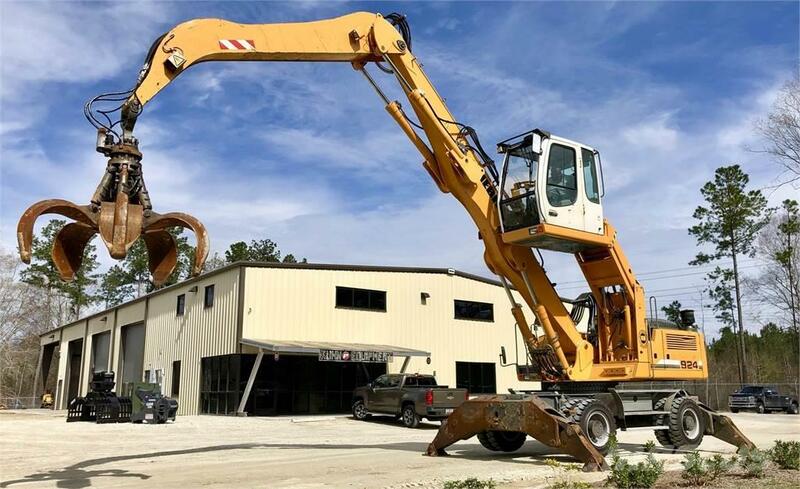 Más información Description: Hydraulic Elevating Cab, Heat & A/C, 41 ft reach MH boom w/ Drop Nose Stick, Liebherr 3/4 yd3 scrap grapple w/ 360 degree rotation, 13 kw Generator system, Automatic Central Greasing, Rear Camera, NEW Solid tires, and Outriggers x4. Well maintained, very clean, one owner machine since new. Excellent condition and appearance.